These adorable fringe hearts are so cute on a T-shirt or Sweatshirt for Valentines or for heart lovers! 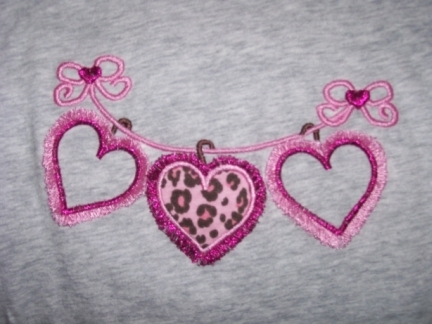 The center heart can be appliqued in animal print or sequin fabric! You choose white or grey T-shirt or sweatshirt in Youth Small-Adult 2X.